This Full Moon blends two different voices. Sun-in-Scorpio is watery. It represents the inner voice, honoring intuition, depth of feeling, mystery, sensuality, autumnal release and grief. The Moon-in-Taurus is earthy. Ruling the neck, throat, and song itself, Taurus guides the outer voice. It resonates with beauty, grounded strength, and the pleasures of felt sensations. 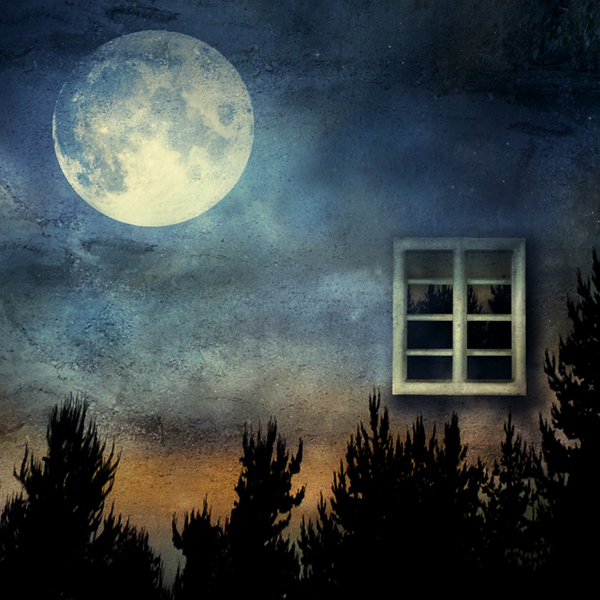 This Full Moon asks us to listen to both of these voices, the inner and the outer one. May we also listen to those who need their voices heard. Half-Moon is a shape that allows for sturdiness, building resilience, and opening up to our courage. Practicing it against the wall adds another touch of compassionate intention. It helps us to hold both heart and world in reverent attention. Move to a wall or something else you can lean against for support. Get close enough to feel your backside against it. Turn your right toes parallel to the wall. Start to bend your right knee until you can bring your right hand down to the ground. Lean into the ground and the wall in order to lift your left leg up into the air, along with your left arm. Press your left heel, the back of your left shoulder, both sides of your backside into the wall if possible. Simultaneously press your right foot and hand into the floor. Aim to steady your breath and evenly spread the amount of force used throughout all sides of the body. Use the floor and the wall to open up your whole torso and to bring some rejuvenation to your neck and throat. Float there in this Half-Moon pose variation for a few intentional breaths. Then come out of it by placing both feet on the ground and your backside against the wall. Take a moment before switching sides. May you feel supported and ready for your Full Moon world.